The road to hell is paved with good intentions. When her dreams of becoming a famous dancer fall short of expectations, Jenny creates an alter-ego called ‘Pandora’ when she turns to stripping. Things quickly start to spin out of control and before she knows it Pandora is threatening to ruin her life in this serialized illustrated story. Spanning across 97 HD images Jenny delves into a second life but is this Jenny or her alter ego Pandora pulling the reigns? Jenny hasn’t let Pandora out in years but the time is ticking and she desperately needs the money. Maybe it will be different this time or will it? Pandora: Episode One is a FREE promo episode! What are you waiting for? Grab your copy today! Download Pandora: Episode 1 FREE! The best-laid plans often go awry. 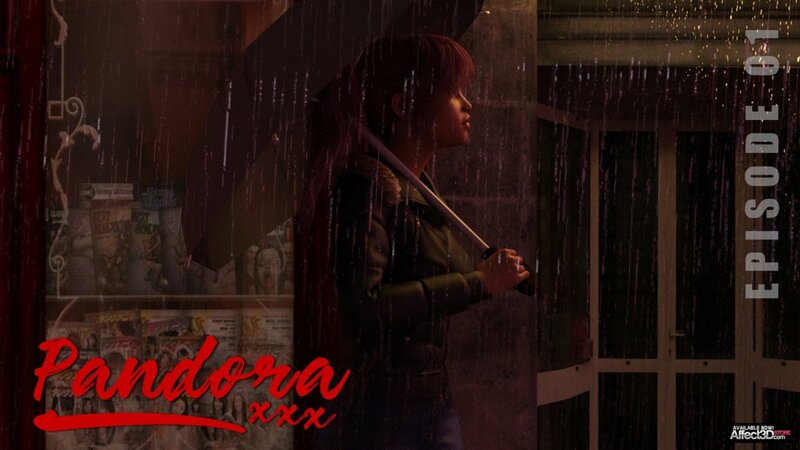 Jenny continues the battle to keep her alter-ego ‘Pandora’ under control as she moves house, discovering that the separation of her work and her life may be more of a struggle than she anticipated. Then the offer of an exciting new job threatens to send things spinning out of control in a way she never expected. Things are steadily looking up for Jenny but lines are blurred when Jenny doesn’t know when to be Jenny or Pandora. Trying to keep a double life is hard especially when your alter is wanting to take control. What’s a girl to do when you now have everything you could ever want but the secrets keep piling up? Be sure to grab your copy today for $9.99! – Nice buildup and tease in the free episode. Insta buy on this serie. Great work!